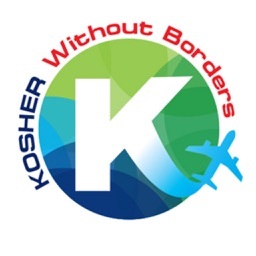 Kosher Travelers in the USA, Canada and England are you looking to eliminate the stress of finding a kosher restaurant, a local minyan or mikvah when you’re on the go? 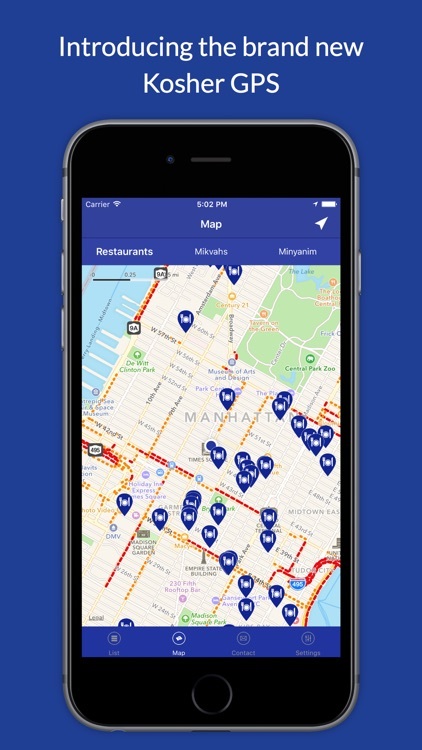 Introducing the Kosher GPS app! 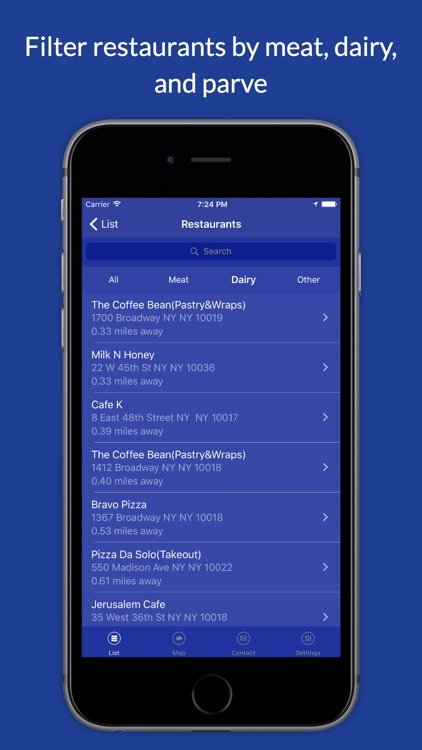 It's the first ever strictly kosher app, and it's not from a public database. 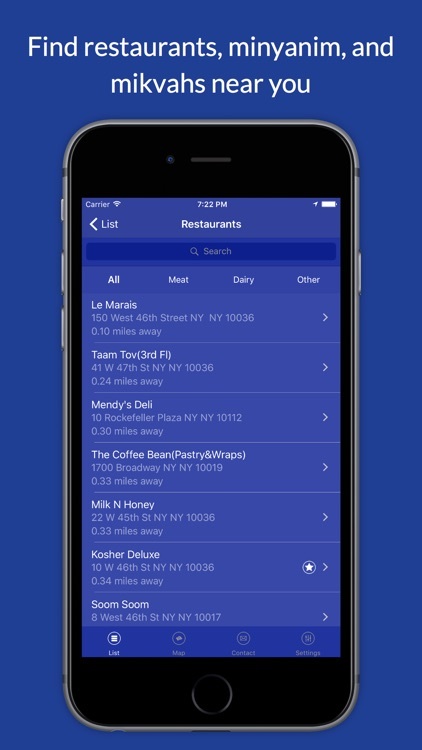 The Kosher GPS app is your one-stop solution for all your kosher needs. 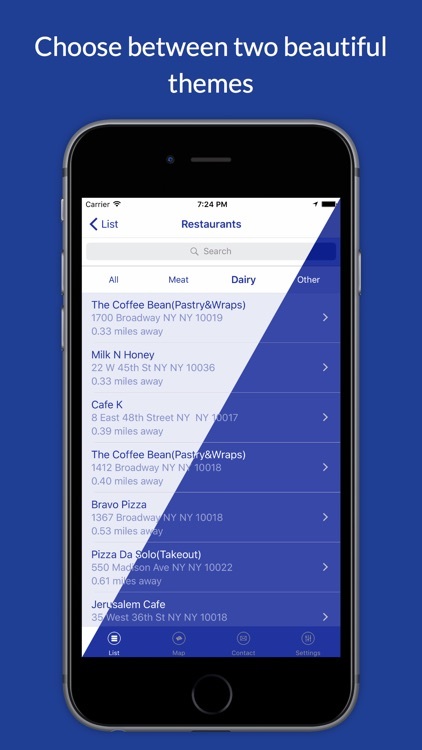 Updated *daily*, this application highlights everything kosher in your area, taking the guesswork out of kosher travel. So whether you’re looking to “eat, daven or dip,” Kosher GPS is your go-to source for thousands of restaurants, minyanim and mikvahs across the USA, Canada, Puerto Rico and restaurants in England. 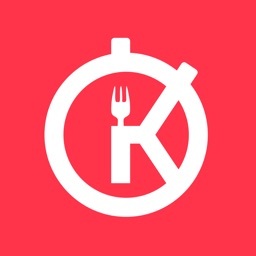 Kosher GPS also highlights deals and discounts offered by local restaurants. 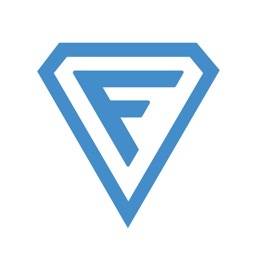 Take advantage of the discounts and you’ll see the app will be invaluable! Just show the manager or owner their discount listed in your app and they will give you the discount. More and more restaurants are joining all the time. This will save you money. 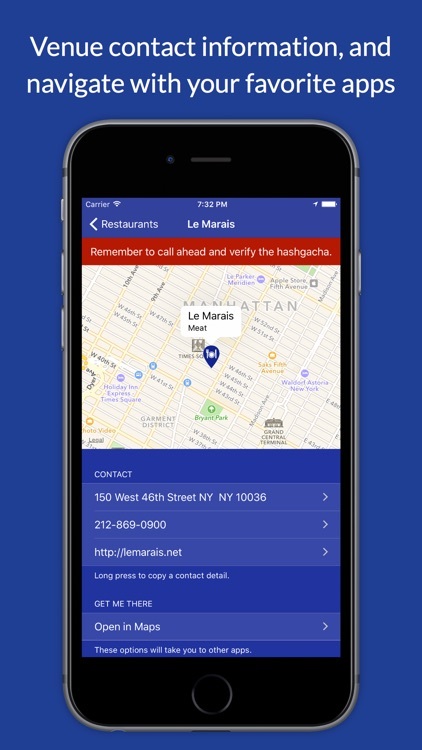 Allow the app to use your location and it will automatically find the closest kosher restaurants. Use the search icon and search in other areas by ZIP code or name. Once you locate what you’re looking for, tap on it to check it out. Verify the hashgacha, and use your phone's GPS to get you to your destination. 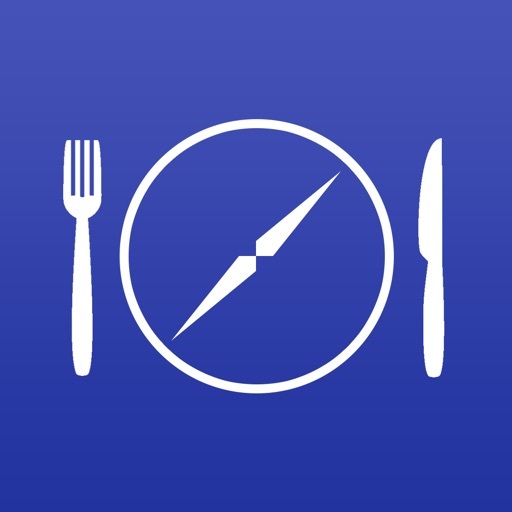 We will be adding features in the future and as our network increases so will the number of restaurants that give discounts. 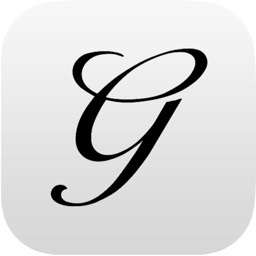 - Daily updates so any available to you right away. 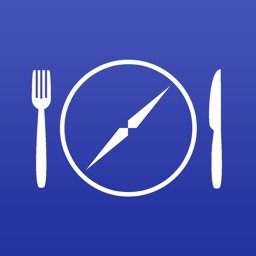 - FREE access to special deals and discounts with restaurants in the area you’re visiting.